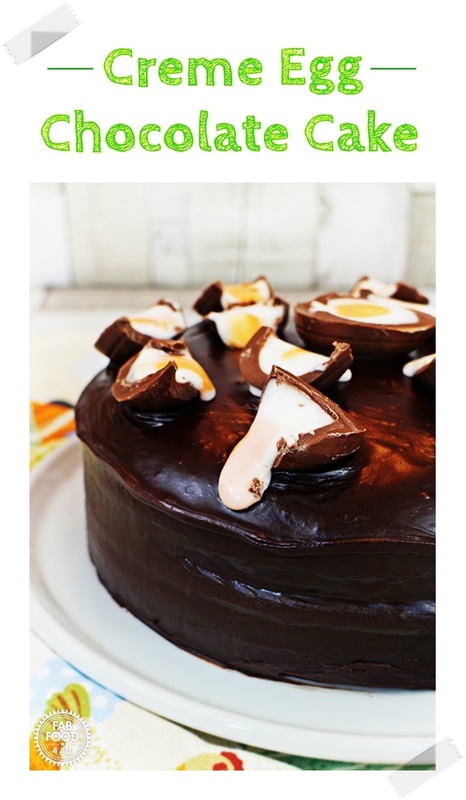 You are here: Home / Cake / Creme Egg Chocolate Cake – moist and delicious! My son turned 18 this week, I know, I don’t look old enough you’re going to say (just humour me) so of course I had to bake him a birthday cake. My daughter likes to mix things up when it comes to her birthday cake choices but my son’s favourite is my Olive Oil Chocolate Cake as it is light, moist and oh so chocolaty! This year I wanted to cover the whole cake in icing and as we had a box of Creme Eggs going spare I decided to chop them up for an Easter themed cake. 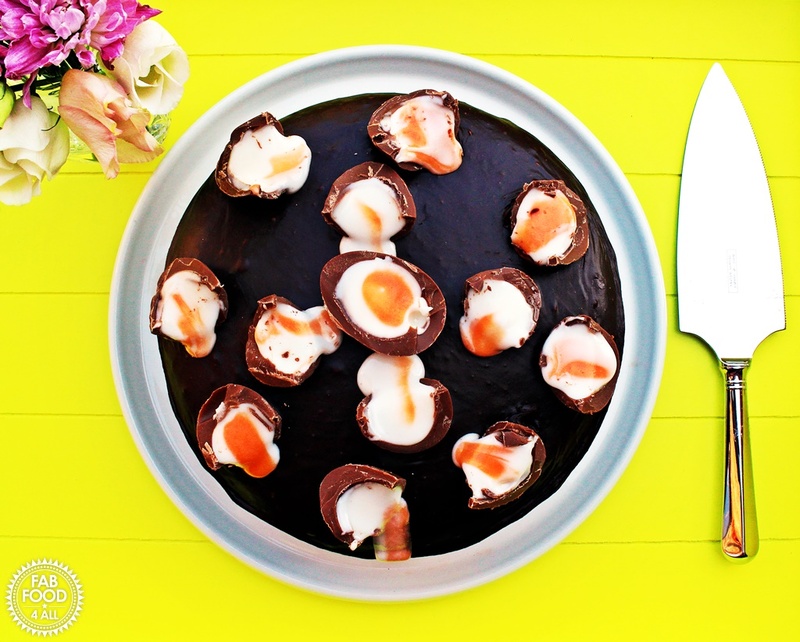 So that’s how this Creme Egg Chocolate Cake evolved. 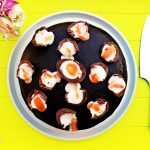 So whether you have an Easter birthday in your house of you just want to impress your guests this Easter, I can’t recommend this cake highly enough! 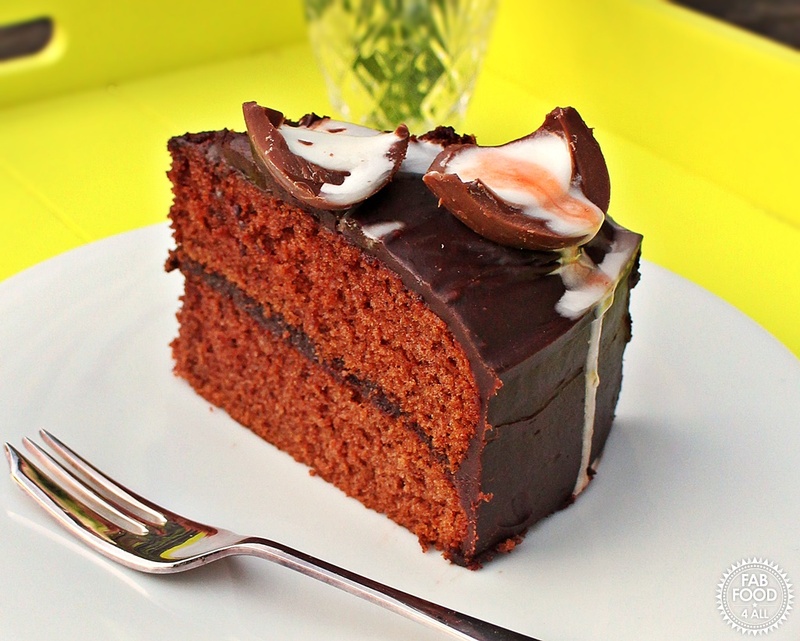 Creme Egg Chocolate Cake is so moist and delicious and sure to be a big hit! Grease and line 2 x 20 cm cake tins with baking paper. Pour the oil and milk into a jug. Break the eggs into a small bowl and whisk. Sieve the flour, cocoa, bicarbonate of soda and baking powder into a large mixing bowl. Gradually whisk in the eggs, oil and milk and beat well to make a smooth batter. Pour into the cake tins, weighing to check they are equal. Place in the middle of the oven and bake for 30 to 35 minutes until the cakes spring back when lightly pressed. Turn the cakes out onto a wire cake rack and leave to cool. Make the chocolate icing to sandwich and decorate the cake. Stir in the cocoa and cook very gently for a minute, then take off the heat. Stir in the icing sugar and enough milk to make the desired spreadable consistency. 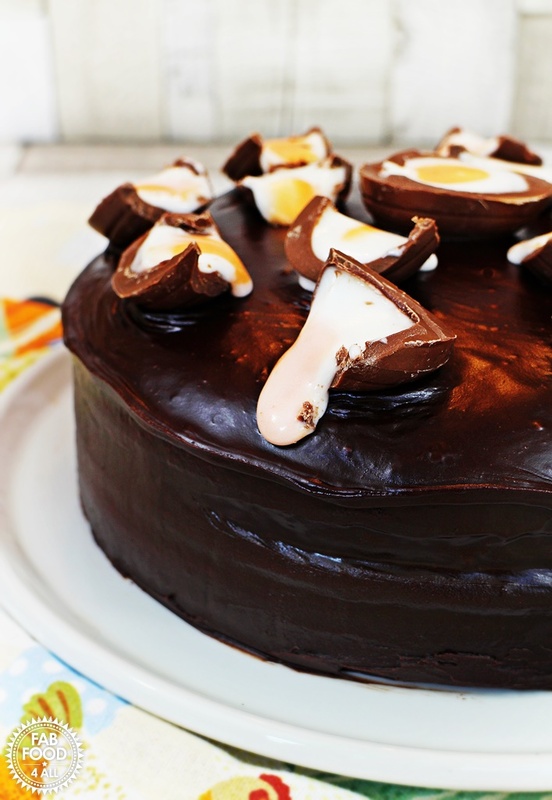 Next chop up the Creme Eggs and scatter over the top. Store in an airtight container, will keep for at least 3 days.